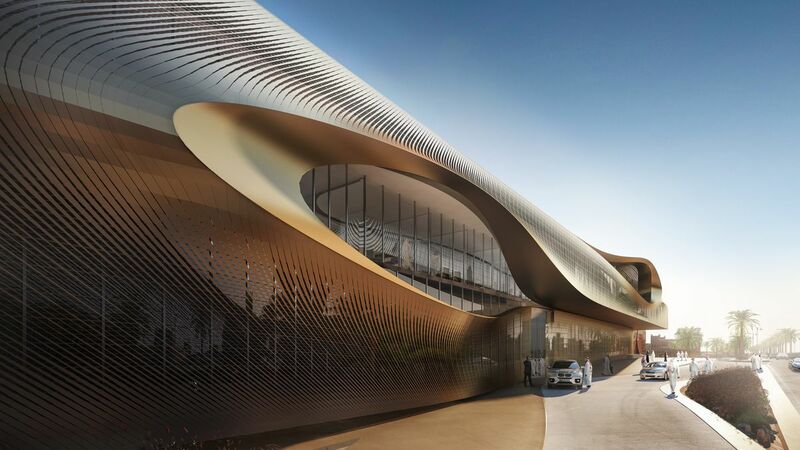 Zaha Hadid Architects has won the competition to build the Urban Heritage Administration Centre in Diriyah, Saudi Arabia, where its historic district is an UNESO World Heritage-listed site and includes the surrounding Wadi Hanifah valley. 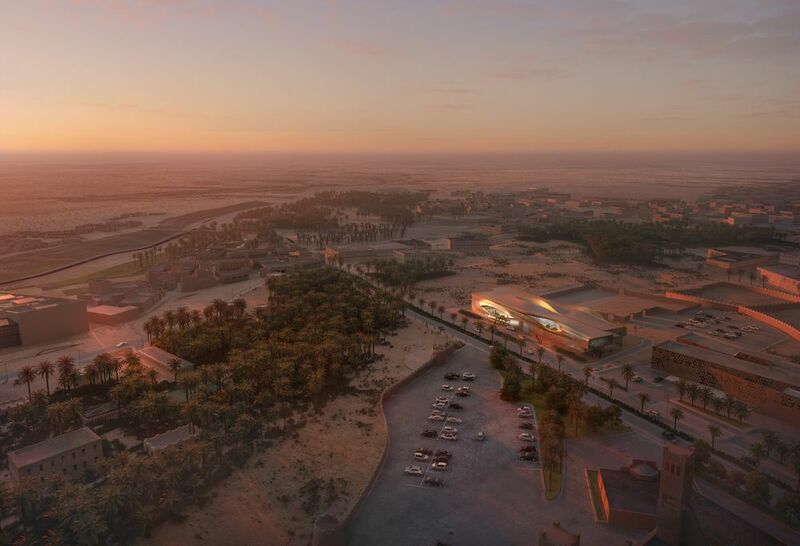 The 8,780-square-meter (95,507 square feet) project will serve as the head office of the Heritage Museum and will include a permanent exhibition gallery, library, lecture hall, educational spaces, and a scientific institution devoted to research and documentation of Diriyah’s archaeological sites. The design relates to Diriyah’s local vernacular, not through mimicry or a limiting adherence to references of the past, but by developing a deeper understanding of its traditions and composition—expressed in a contemporary interpretation informed by the same natural forces that defined Diryah’s historical architecture. 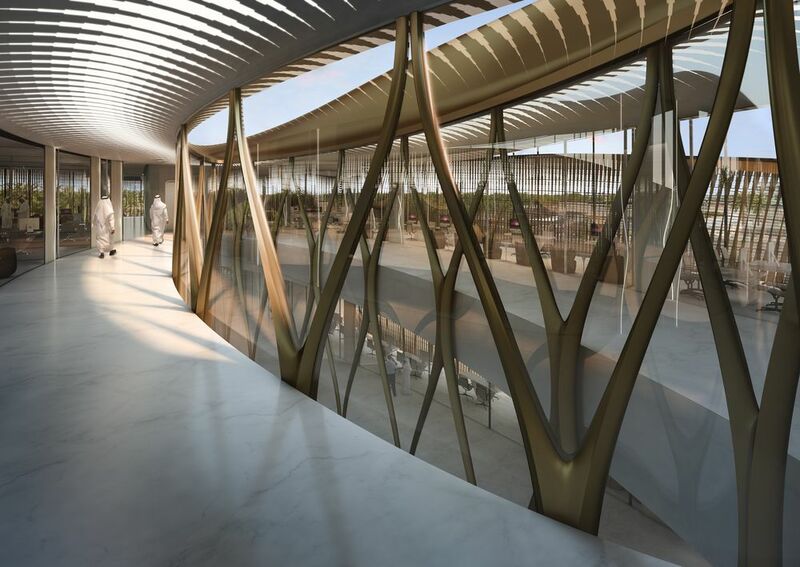 The centre is designed with the Wadi Hanifah valley’s oasis in mind, its facilities arranged around an atrium that incorporates water, and featuring four “scooped” green oases within a facade that appears to be solid but in fact wears a perforated outer skin. Taking its cues from the rammed-earth structures of Diriyah’s historic area, the center boasts a double-facade that allows natural light and surrounding views to infiltrate the space, while also insulating it from the heat and sun. “True authenticity resides in the balance between tradition and ever-evolving innovation,” the statement continued. The Urban Heritage Administration Centre hopes to play a significant role in the nation’s evolving cultural heritage. Previous post Investing in St. Louis: BPV Phase 2, Cortex Phase 3 & City Foundry.